Where does Bovine Serum come from? What is Fetal Bovine Serum? What makes Biowest a serum specialist? How should I select my FBS supplier? Foot and mouth disease (FMD): does it matter? Are some FBS origins better quality than others? Why is FBS less expensive in Europe than in the USA? Why is the demand for FBS increasing? Do I need to test FBS from Biowest? How are the samples tested for viruses? Why not use PCR testing for viruses? What is the risk of BSE in serum products? Are there alternatives to FBS? What are the deposits in the serum? What is the best way to thaw serum? How do I select FBS for stem cells? Is it normal that the trypsin products do not always have the same color? How does Biowest guarantee traceability? What about regulations and conformity? Bovine serum is a by-product of the meat industry. Bovine blood may be taken at the time of slaughter, from adult cattle, calves, very young calves or (when cows that are slaughtered are subsequently found to be pregnant) from bovine fetuses. It is also obtained from what are called "donor" animals which give blood more than once. Fetal bovine serum is also used extensively in research. A technique known as "Cell culture" is widely applied in the manufacture of both vaccines and bio-pharmaceuticals in which bovine serum is broadly used. Maintaining cells in vitro in a healthy condition and over time is a complex task. They will only survive, grow and multiply if they are well fed and provided with an appropriate and protective environment. Complex mixtures of substances ("media") are used to bathe the cells in order to both feed and protect them. Different cells have different requirements. In many instances the presence of serum in the mixture is essential if the cells are to grow adequately and normally. Bovine serum is much the most widely used, because high quality bovine serum is available in sufficient volume and has been found to support cell growth very well indeed. What makes Biowest a serum specialist?? With more than 25 years of experience with serum as its main activity, Biowest is dedicated to quality and service; to vertical integration, and providing a wide range of origins. Biowest takes full responsibility of ensuring a vertically integrated supply chain to the highest standard of quality, traceability and safety. In 2004, Biowest was acquired by the Viking/Serascandia group to become the first vertically integrated serum company. In the same year, Biowest denounced cases of misrepresentation to the authorities and informed the affected victims; highlighting the importance of serum industry traceability guidelines and oversight, and promoting the creation of the International Serum Industry Organization. The choice of the FBS supplier is based on Quality, Traceability and Safety along the whole supply chain, endorsed by comprehensive documentation; backed up by audits of the supply chain back to the serum source; and covering several years. The OIE (World Organization for Animal Health) is an intergovernmental organization created in 1924. In 2011, the OIE totaled 178 Member Countries and Territories. The serum's source is from a USDA Approved country. This means that serum is produced from blood collected in countries that have been approved by the United States Department of Agriculture (USDA) to export ruminant serum products to the United States. Eligible countries that export fetal bovine serum into the U.S. include: Australia, Canada, Chile, Costa Rica, El Salvador, Guatemala, Honduras, Mexico, New Zealand, Nicaragua, and Panama. Some cattle viruses can cross the placenta of the cow and infect the calf fetus, thus contaminating FBS and potentially making it unsuitable for use in cell culture. Some of these cattle viruses have a limited distribution and only exist in certain parts of the world. These are viruses of concern when importing FBS from infected countries - See Table of Diseases of Importation Concern for FBS. Other cattle viruses exist in all countries, and regardless of country of origin, the FBS must be tested or treated to assure freedom from these and other viruses (See USDA 9 CFR 113.53 and EMEA-CPMP-BWP-1793-02). The treatment of choice for most FBS is gamma irradiation at 25-45 kGy to guarantee freedom from viruses. FMD is relevant for regulatory import purposes but not for cell growth. The USA and a few other countries only allow FBS imports from countries free from FMD, WITHOUT vaccination while most other countries also accept FMD-free WITH vaccination. Both types of FMD-free countries are free of FMD outbreaks and circulating FMD viruses, as verified by the OIE and declared equally safe. The serum's origin has no influence on cell growth. 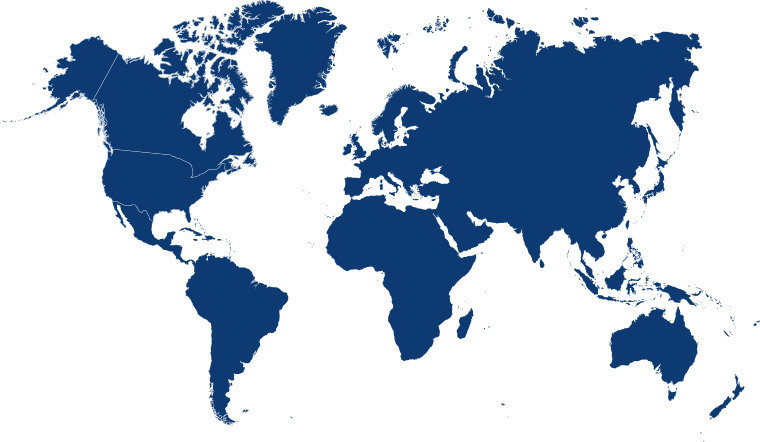 Biowest has compared cell growth in FBS from seven different countries on three continents, and confirmed that regardless of the country of origin, all cell lines tested had the same average performance. One batch of FBS may work well for one specific cell line, but not for another. "Serum quality" is specific for each cell line. That is why testing of FBS is widely used when dealing with sensitive cell lines. Biowest performs the most extensive analysis of biochemical parameters and testing on cell lines in the industry, making available the results on the Certificates of Analysis. Australian FBS prices are higher because Australia is perceived to be a "safer" origin for BSE and cattle viruses. Canada and Australia were the first countries outside the USA where FBS was produced. In the 1980s, BSE cases that occurred in North America became a strong argument in favor of Australian FBS. The point was made that being "isolated", Australia was necessarily the most secure origin. However, BSE has never been found in young animals, let alone in fetuses, and BSE transmitted by animal feed has been eradicated. The remaining BSE cases are the spontaneous BSE events, which occur in all cattle populations (Stanley B. Prusiner, Nobel Prize 1997). All countries find spontaneous BSE cases if their sanitary surveillance systems are sensitive enough. Additionally, the OIE veterinary authorities have declared all blood and blood product, regardless of country of origin, to be safe in terms of BSE. So, the BSE arguments in favor of Australia were clearly ill founded from the beginning, and have become obsolete. Nevertheless, Australian FBS is still sold as "safer", at much higher prices than other origins. Paradoxically, Australia is actually among the countries with the most types of viruses of import concern, including Blue Tongue, Akabane, Aino, and Bovine Ephemeral Fever (see FAQ #13). Like in the tale "The Emperor's new clothes", by Danish writer Hans Christian Andersen, those who believe that paying more will assure them a better serum, are being misled. A huge price difference exists between countries classified as "FMD-Free-without-vaccination" for which demand exceeds supply, and countries listed as "FMD-Free-with-vaccination" where supply historically has exceeded demand. The price difference has been several hundred per cent, whereby serum users in the US have paid billions of USD more than serum users in the EU. Proposals from USDA to harmonize US and EU import rules for FBS relating to FMD (following OIE guidelines), have repeatedly been turned down by the US serum industry. Wrong beliefs about risks associated to BSE have lead some FBS providers to promote the Australian origin as "safer" without any scientific basis, making this origin several times more expensive than any other. The Australia "safer" status is being promoted, despite the virus status of Australia (see FAQ #13); and despite the higher risk of misrepresentation associated with such huge price differences. The price differences persist due to longtime marketing efforts promoting certain origins, and regulations limiting trade, even among countries that according to the OIE's classification have identical veterinary risk status (regarding viruses of import concern for FBS). ISIA has among its objectives the education of serum users, and EU and USA are working to harmonize trade rules, all of which will contribute to harmonizing price levels for most FBS origins. Biowest FBS Premium has been especially selected to guarantee high performances and low batch to batch variations. You can save time by purchasing pretested FBS (See Catalogue Number S181B). Start by thawing the serum and the control serum bottle at 2-8°C. Stir the bottled serum to avoid a precipitant from forming during the thawing, then place it in the water bath adjusted to 80°C. Once the control bottle temperature reaches 50°C, adjust the bath thermostat to 70°C; when the bottle temperature reaches 55°C, change the thermostat to 60°C. When the serum reaches the temperature of 56°C, use a timer (30 minutes is the registered time) and change the thermostat of the water bath to 56°C. During those 30 minutes, check the temperature regularly and maintain it stable by adjusting the thermostat, by adding some cold water, and by lowering the lid or not. Stir the serum every 5 to 10 minutes. Keep the serum at room temperature for 30 minutes, and then freeze the serum at -20°C.
. The stirring is crucial for good serum quality. If the serum is not correctly mixed, a precipitant of salts, proteins and lipids will appear, and allow crystalline and flocculation deposits to form. These deposits are not toxic for cell culture but affect the serums appearance and consistency.
. Heating the serum for long periods can destroy the growth promoters, which can also enable deposits to form. If viruses seem to modify the results of your work, Biowest also propose you to test FBS Biopharm, our highest quality, certified free of 11 major cattle viruses. Biowest tests the serum for the viruses (BVD, IBR, PI3) by using a cell culture method, so that live viruses, if present, are detected in the serum. A simple PCR test, not combined with the cell culture test, is used to detect DNA and RNA viruses that are alive and dead. Bovine spongiform encephalopathy (BSE), more commonly known as "mad cow" disease, is a fatal neurodegenerative disease (encephalopathy) in cattle. For some time, BSE was an argument used in favor of certain origins. After the OIE has determined that BSE is not transmitted by blood products, these arguments have become obsolete. There are some cell lines specific serum-free alternatives available, including Biowest FreeAdd (Catalogue Number S6000). In most cases, cell adaptation is needed, yields are lower and costs are higher. Internal studies in Biowest have shown that during 26 weeks of storage (between +2 and +8°C) the serum's capacity to promote cell growth was not significantly altered. (*) Art to Science, Vol.19, No.2, "Serum Stability at Refrigerated Temperatures (2-8°C). Except where notified on product labels, Biowest sera and liquid media are sterile filtered. Sterility is not guaranteed after opening. The use of aseptic manipulation techniques is recommended. In addition to normal testing, Biowest also tests FBS for stem cell work suitability. However, it is recommended that batches used for stem cells be tested on specific cell lines for the specific conditions required. Dr Yamanaka in his Nobel Prize winning work related to stem cell research, selected Biowest FBS after testing our batches. Biowest completely controls the supply chain from harvesting the raw material to filling sterile bottles. Our traceability with SAP management software SAP Business One guarantees complete product traceability, from raw material until the end product. This software program plays a key role for achieving complete supply network traceability - enabling Biowest to determine batch lineage and global traceability. OIE's guidelines for animal welfare are respected in the countries where the FBS is collected (OIE Terrestrial Code 7.5 Slaughter of Animals). The collection of the blood is done without causing pain to the fetus. The fetus's life ends through oxygen depletion, generally agreed to be a gentle method of life termination. Cell culture technology can reduce the use of live animals in science. Research is also being done to produce meat by cell culture, which could ultimately lead to the end of breeding animals for food. Since the 1990s, from time to time, cases of illegal practices have been rumored. Only two cases are known to have been reported to authorities. In 2004, Biowest realized we had purchased and resold misrepresented origins; and in 2013, GE realized it had been selling misrepresented and adulterated FBS products, after acquiring the company PAA with activities in Austria, Canada and Australia. In both cases affected victims were informed, and product was recalled. Other cases are known to be under investigation. These cases illustrate the importance of having complete control of the supply chain. "Misrepresentation" is when the product is mislabeled in terms of the declared origin, and can be total or partial: "Total" is when FBS from a less expensive origin is sold as if it were from a more expensive origin; "Partial" is when a less expensive origin and a more expensive origin are mixed e.g. in proportion 49-51, and only the more expensive 51%- origin is declared. This generates an illicit profit for seller, at the expense of the serum users; and may cause companies to unknowingly violate import regulations or product master files. The actual research results and end products are unlikely to be seriously affected, but falsified origins violate government, industry and consumer standards of honesty and traceability. "Smuggling" is a way of misrepresentation, and can be in the form of importing a product under a false description; directly to a final destination, or via third country. "Adulteration" is the most damaging of the criminal activities that may affect serum users!